This offer is exclusively available in all Readings shops except Readings Kids until 31 March on stickered, in-stock items only, while stocks last. This offer is not available online. We have a wide range of titles on offer, including modern Australian classics, international award-winners, ambitious Great Novels and slick short-story collections. You can read about some of the titles below, find more of the selection here, or come in-store to view the full range. This sweeping exploration of love, loyalty, race, and justice in 21st century America has just been longlisted for the Women’s Prize for Fiction in the UK, and it’s not hard to see why. It’s a moving family drama about newlyweds Celestial and Roy, who are poised for success: he is a young executive, and she is an artist on the brink of an exciting career. But their lives are ripped apart when Roy is arrested and sentenced to twelve years for a crime Celestial knows he didn’t commit. Jones is a fierce observer of the injustices that affect the Black-American experience, placing the reader right in the middle of the pain and frustrations Celestial and Roy experience. But above all, she is a skilled and compassionate observer of human frailties. Driven by compelling and complex character drama, An American Marriage is an emotional portrait of the messiness of love and marriage. Morrison won the Readings Prize for New Australian Fiction in 2016 and the Australian Literature Society Gold Medal in 2017 for this second novel about a young woman, Alice, who travels to Oxford to study music in the 1950s. There, Alice meets economics professor Edward, who becomes her husband and keeper. In Music and Freedom, Morrison has crafted an elegant chamber piece that calls to mind the works of Anna Goldsworthy and Elizabeth Jolley. It is a sympathetic novel about frustrated dreams and the pursuit of independence, particularly for talented young women who came of age in the 1950s and 1960s. Though it explores dark spaces of violence and isolation, it is also a study of the transformative powers of music and love. This searing short piece of translated fiction takes place over the course of a stand-up comedy act in a small Israeli city. The comedian, Dov Greenstein, is a bit past his prime and in the audience is a district court justice whom Dov knew as a boy, along with a few others who remember Dov as an awkward, scrawny kid who walked on his hands to confound the neighborhood bullies. Dov’s act veers from hilarity to hysteria, as he exposes a traumatic wound from his past that causes those in the audience to reassess their own memories of their past. The winner of the 2017 Man Booker International Prize, A Horse Walks into a Bar is a shocking and breathtaking work whose short length belies the big themes it explores: betrayals between lovers, the treachery of friends, and guilt demanding redress. It isn’t an ‘easy’ read but it’s the kind of audacious and meticulously plotted work that will garner a cult following among fans of experimental fiction. If you haven’t read it yet, don’t be surprised if a copy is breathlessly pressed into your hand by that friend who’s always telling you to read Karl Ove Knausgård. Lauren Groff’s short-story collection is an electrifying, expanding read. The eleven stories in Florida present readers with a different side of the US state to the typical images of sun-drenched coasts and DisneyWorld. 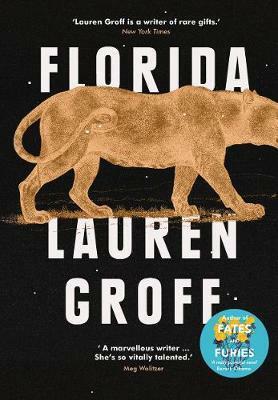 There is darkness and dread lurking behind each of the stories, which all gravitate around Florida – its landscape, climate, history, people and state of mind. Storms, snakes and sinkholes lurk at the edge of everyday life, but the greater threats and mysteries are of a human, emotional and psychological nature. With shocking accuracy and effect, Groff pinpoints the moments and decisions and connections behind human pleasure and pain, hope and despair, love and fury. Another winner of Readings' Prize for New Australian Fiction, Ceridwen Dovey’s Only the Animals collects ten short stories that each examine the soul of an animal caught up in human conflicts. In a trench on the Western Front a cat recalls her owner Colette’s theatrical antics in Paris. In Nazi Germany a dog seeks enlightenment. A Russian tortoise once owned by the Tolstoys drifts in space during the Cold War. Playful and poignant, this book opens up an animal’s-eye view of humans at our brutal, violent worst and our creative, imaginative best. As in all the best science-fiction, the world of The Power is a recognisable place, but a small yet vital change makes chaos of the existing world order. Teenage girls find that with a flick of their fingers, they can inflict agonizing pain and even death. With this single twist, the four lives at the heart of Naomi Alderman’s extraordinary, visceral novel are utterly transformed, and we are taken on a thrilling journey to an alternate reality that exposes our own society’s hypocrisies and injustices. This smart genre thriller is packed full of observations on gender and power, making it the perfect read in a post-Trump world. In John le Carre’s 1993 novel, ex-soldier and luxury hotel night manager Jonathan Pine agrees to help British Intelligence penetrate the murky high-stakes world of ruthless arms dealers. But when an attempt to pass on information to the British authorities – about an international businessman at the hotel with suspicious dealings – backfires terribly, Pine finds himself up against powerful forces he cannot begin to imagine. This is a chilling tale of corrupt intelligence agencies, billion-dollar price tags and the truth of the brutal arms trade, that has all the claustrophobia and paranoia that le Carre fans have come to expect from this master of the thriller genre. This witty and intelligent novel centres on the relationship between Greer, a shy college student, and Faith Frank, the charismatic pillar of the women’s movement who will shape Greer’s life. Misunderstood and introverted, yet aching with an ambition she can’t name, Greer’s life changes when Faith challenges her with a career opportunity that will set her down a path she never imagined for herself – one that has consequence for her expected relationship with high-school sweetheart Cory. The Female Persuasion is about ambition, female mentorship and the fragile tenderness of the relationships that persist in our lives. Above all it is about that spark we all believe is flickering inside us, waiting to be seen and fanned by the right person at the right time, and the desire within all of us to be pulled into the light. This quiet and unsettling literary novel radiates with the heat of summer. A mother and daughter arrive at a village on the Spanish coast. Rose is suffering from an untreatable illness and her daughter has brought her here in hopes of finding a cure. Intoxicated by thick heat and the seductive people who move through the town, both women begin to see their lives clearly for the first time in years. Hot Milk had a lot of people talking for its exploration of the strange and monstrous nature of womanhood, and its dreamlike prose. Utterly compulsive, it is a delirious fairy tale of feminine potency that feels both modern and timeless. See more of the titles eligible for our 3-for-2 offer here or come in-store to view the full range.